Barack Obama is compromising American security by allowing “radical Islamists” access to the White House, according to a report by the Investigative Project on Terrorism. 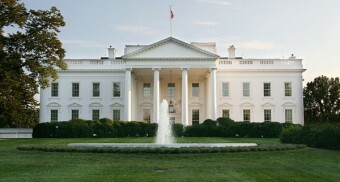 The information was obtained from visitor logs at the White House as well as court documents and “other records” that have identified many of the visitors as belonging to groups serving as fronts for the Muslim Brotherhood, Hamas and other Islamic militant groups. The report was complied by Steve Emerson and John Rossomando. IPT reported officials from the Council on America-Islamic Relations, which was named as an unindicted co-conspirator in the largest terror money laundering case in the nation, the Holy Land Foundation trial, were among those visiting Obama’s advisers. In that case, U.S. District Court Judge Jorge Solis said, “The government has produced ample evidence to establish the association” of CAIR to Hamas. He refused to reverse the listing. Specifically, the logs shows Hussam Ayloush, executive director of CAIR’s Los Angeles branch, met with Paul Monteiro, associate director of the White House Office of Public Engagement, and Amanda Brown, assistant to the White House director of political affairs, the report said. “IPT has learned that the White House logs curiously have omitted Ayloush’s three meetings with two other senior White House officials,” the report said. In another situation, Esam Omeish, who formerly headed the Muslim Brotherhood-created Muslim American Society, visited the White House three times, IPT said. “In 2000, Omeish personally hired the late terrorist Anwar al-Awlaki to be the imam of Falls Church, Va., Dar al-Hijrah mosque. According to IPT analysis, more terrorists have been linked to Dar al-Hijrah since 9/11 than to any other mosque in America,” the report said. IPT said it actually is the Muslim Public Affairs Council that has “secured the closest working relationship with the Obama White House” with 15 officials from the group welcomed to the White House. “Executive Director Salam al-Marayati enjoyed at least six White House visits between September 2009 and July 2011, mostly involving meetings with Monteiro. Alejandro Beutel, who was MPAC’s government liaison until July 2012, had 10 White House visits between July 2010 and May 2012,” the report said. “MPAC’s Washington director Haris Tarin made 24 trips to the White House between December 2009 and March 2012. Those meetings often were intimate in nature, involving a handful of people at most,” it said. “White House logs show Islamists visiting the White House who may have lower profiles, but who also defended terrorists and terrorist groups, and repeatedly castigated law enforcement, especially in counter-terror sting operations,” the report said. Also listed was Hisham al-Talib, a founder and current vice president of finance for Herndon, Va.-based, International Institute of Islamic Thought (IIIT), an organization the FBI believes has housed key Muslim Brotherhood leaders in the United States since the late 1980s. Russian political movement: No more mosques! A Russian nationalist organization has declared that Moscow doesn’t need any new mosques. According to Russian Today, Russikye National Movement Chairman Aleksandr Belov said Russians need to decide Russia’s future identity. “It is necessary to decide once and for all whether Russia will turn into an Islamic state or it will remain a secular state, where foreign immigrants arrive, find jobs and leave after their work is finished,” Belov said. Russia’s chief, Mufti Albir Krganov, has asked the government for permits to build additional mosques. Heritage Foundation Russia scholar and analyst Ariel Cohen said there are approximately 2 million Muslims in Moscow. Cohen added that the evidence of heavy migration is in Moscow’s schools. However, Moscow Mayor Sergei Sobyanin gave an indication of his position on the issue when he responded to the Mufti’s request by saying that many of the Muslims praying in the city’s mosques aren’t residents of Moscow. The cultural divide between Russia and Muslims became even more apparent this week when President Vladimir Putin said Muslim girls shouldn’t wear headscarves in schools. “President Vladimir Putin spoke out Thursday against the wearing of headscarves in Russian schools in his first public comment on a potentially explosive issue,” the report said. Tensions have been growing between Moscow authorities and the city’s Muslim population. In September, Radio Liberty reported that Moscow police arrested and detained Muslims who were waiting to pray at the city’s largest mosque – the Cathedral Mosque near the Kremlin. A former CIA officer who asked not to be identified said the pressure for more mosques in Moscow is evidence of most Muslim’s sense of identity. However, the CIA officer added that Muslim leaders may give Russia the benefit of the doubt because of the present tactical situation between Russia and Iran. “But they also may make some tactical considerations and cut Moscow some slack as long as Moscow is troubling the U.S. and the West and is helping Iran and Syria,” the CIA officer added. The former CIA officer noted that the anti-mosque movement could be coming from the Kremlin. Again, the former CIA officer cited Putin’s maneuvering in the Middle East. “That said, Putin is also courting the barbarians in Tehran and Syria to poke a stick in the eye of the West. Since Putin and the KGB have total control domestically, I would suspect they are less worried about domestic concerns and will be more interested in putting a friendly face forward to foreign Muslims,” the former CIA officer said. However, domestic concerns may be the major driving force behind the Moscow debate. Cohen again cited Muslim migration from the Caucasus. Cohen said there’s another dilemma. A Chesapeake, Va., teacher is facing a charge of assault for allegedly forcing a student to do an “Islamic hand sign,” leaving the young girl “dripping with blood,” according to a report in The Blaze. While police have confirmed the incident, school district officials have said the case is a “personnel issue” and they are not allowed to divulge many details. And while the teacher identified by the Blaze as the suspect, Tara Harris, is scheduled to appear in court in a few days, her side of the story remains unclear. The report said the elementary school teacher, who openly campaigns for Barack Obama in the classroom, was trying to teach students an “Islamic hand sign” when she yanked the arm of the student, the 10-year-old daughter of Stephanie Bennett, and the student was injured. “When [the student] didn’t get [the hand sign] right, [Harris] went over and yanked her hand out of her desk and my daughter’s hand got hung up on the metal wire on her file folder and the skin got caught on it,” said the mother. The mother told the Blaze she called police as soon as she learned what had happened. 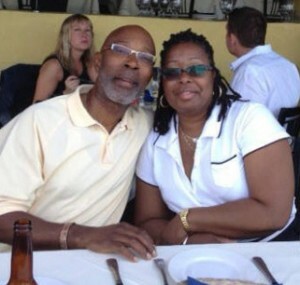 She said the school confirmed the teacher was placed on administrative leave. She said later the school told her the teacher was terminated from the system. Officer Leo Kosinski in Chesapeake told the Blaze Harris was charged with a misdemeanor and released on a summons. “It’s still a criminal charge. It happened at the school and it involved a student,” he said. Bennett, whose daughter attends Butts Road Intermediate School in Chesapeake, said this teacher previously has tried to “indoctrinate” students in Islamic thought. Her daughter, who suffers a “processing disorder,” was unable to meet the teacher’s demands, and the teacher became frustrated and tried to twist the girl’s fingers into the correct position. The report said the daughter confirmed the teacher “prays to Allah in Arabic” several times a day and has explained how Islam is superior to other religions. Another parent, Nita Reddit, told the Blaze the story was confirmed by her son. Bosnia’s embattled Christians are leaving the country, and their exodus is being blamed on the Muslim majority and the increasing influence of Islamic law. BosNewsLife reports Christians are fleeing to escape discrimination and the Islamization of their home country. Atlas Shrugs publisher and Islam analyst Pamela Geller says the problem is simple: Bosnia is rapidly becoming an Islamic state. “What is going on there is the creation of a Shariah state and a base for the jihadists in Europe,” Geller said. The Heritage Foundation’s Allison Center for Foreign Policy Studies Analyst Steve Bucci says he’s not so sure the reports of widespread persecution are accurate. “The Bosnians were nominal Muslims, but some foreign Islamists settled there. Even so, the Bosnian government did a good job of corralling them,” Bucci said. Read about Christian martyrs through history, in the updated “Foxe’s Book of Martyrs. He believes the threat the anti-Christian climate has been developing for years. “There is a prevailing tide of discrimination toward Bosnian Croatian Catholics. Most disconcerting is that individuals’ properties have not been returned – specifically those belonging to Bosnian Catholics,” Samy said. Yet, the situation is deeper than just surface-level prejudices. Samy says a disregard for religious freedom is only the first of many issues. “Discarding individual liberty, undermining freedom of speech and subverting religious liberty are serious issues which must be addressed from within and also through principled external pressures,” Samy said. Samy said the underlying issues are corruption and even human trafficking. “There are also underlying problems including rampant corruption, the perilous Balkan Route trafficking humans (mainly children and women), illicit drugs and weapons,” Samy said. He said there are the serious concerns about the rise of radical Islam in Bosnia. “Moreover, entities and corrupt politicians and their cronies within Bosnia Herzegovina are actively blocking reforms in the country through their illicit enrichment gained from confiscating private properties and channeling proceeds through the West’s financial institutions in the region,” he said. Samy also pointed to corruption in the financial sector. He cited Austria’s Hypo Alpe Adria Bank scandal, in which more than 8 billion euros are unaccounted for in the Balkan region, as an example. Austrian taxpayers have been forced to pick up the tab. Samy noted the scandal has not been fully investigated by authorities in Europe. The economy is still in shambles, with high unemployment, especially among the youth. He said the country’s condition shouldn’t be a surprise, as Catholic and European authorities have been making the issues known. Cardinal Vinko Puljic, for example, has communicated to Herman Achille Van Rompuy, president of the European Council, that the Catholic Church’s properties in Bosnia were confiscated under communism. “Even after the recent Balkan war, the lands and properties have not been returned,” Samy said. Geller said that while the U. S. nobly has attempted to help the Bosnians, its military intervention set the stage for Muslim advancement. “We certainly made things worse for the Christians. Clinton didn’t understand Islam or jihad any more than mainstream politicians do now,” Geller said. Bucci disagrees and says the Bosnians and others were helped greatly by the U. S. intervention. “We put people in three zones. The Serbs were in the north; the Croats in the south. The Bosnians were in the center,” Bucci said. He said the Catholic Christians were in the best shape when the U. S. ended its campaign. “The Catholic area was by far the most prosperous. I’m not aware of any outright persecution. That would be surprising,” Bucci said. Yet, Samy said the persecution is happening, and he believes the flow of Catholics from the region will continue. “The factors I’ve listed will lead to a further exodus of Bosnian Croat Catholics from their homeland,” Samy said. 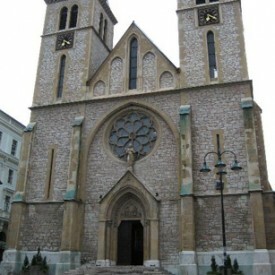 “For a region which experienced brutal ethnic extermination and now [is] experiencing economic turmoil and significant judicial problems, the targeted discrimination faced by Bosnia’s Catholics amounts to a return to a sophisticated form of cleansing – removing a people from their place of birth for their faith and ethnic identity,” he said. Islamofascism: Americans might as well be living under Islamic blasphemy laws, yet the nation’s champion of free speech — the ACLU — is AWOL. That’s because it’s now largely run by Muslims. The ACLU usually stands up strong for First Amendment rights. Not in the case of the Muhammad movie. The ACLU’s executive director failed to release an official statement condemning the outrageous efforts of the White House to deep-six the film, including pressuring YouTube to remove its trailer from the Web. Not until The Daily Caller contacted the ACLU did it speak out, and only meekly so. It said it was “concerned” about the White House request to censor the “repellant film.” The ACLU’s strangely muted response contrasts sharply with its militant reaction to post-9/11 measures to crack down on Islamic terrorists. “The government has gone to extraordinary lengths to squelch dissent (in the Muslim community) — from censorship and surveillance to detention,” it says on its website, complaining it was “encroaching” on the “free speech rights” of Muslims. In other words, the First Amendment rights of Muslims are more precious than those of the average citizen. Where is this bias coming from? Muslims. The ACLU now counts at least eight on its national executive staff alone. In fact, a Muslim runs the ACLU’s Center for Democracy, while another heads its National Security Project. The irony is not lost on Steve Emerson, director of the Investigative Project on Terrorism. The top Muslim lawyer in ACLU’s stable is Jameel Jaffer, who successfully sued the U.S. to reveal CIA secrets for interrogating terror suspects. This national-security wrecking machine is not even American. He’s Canadian. He also happens to be a Muslim activist closely tied to major Muslim Brotherhood figures and front groups. ANN ARBOR, MI – The Thomas More Law Center (TMLC), a national public interest law firm based in Ann Arbor, Michigan, announced today that it is representing U.S. Army Lieutenant Colonel Matthew Dooley, a 1994 Graduate of the U. S. Military Academy at West Point. In April 2012, LTC Dooley, a highly decorated combat veteran, was publicly condemned by General Martin Dempsey, Chairman of the Joint Chiefs of Staff, and relieved of his teaching assignment because of the negative way Islam was portrayed in an elective course entitled, Perspectives on Islam and Islamic Radicalism. While serving as an instructor at the Joint Forces Staff College (JFSC) , a branch of the National Defense University established by Congress, LTC Dooley took on the herculean task of guiding students through one of its most vibrant but controversial elective courses. In grappling with the most dangerous aspects of radical Islamist ideology, students in the elective were encouraged to debate and affirm or dismiss a number of notions regarding Radical Islam as well as confront what strategic U.S. actions were feasible or infeasible. Dooley assumed his instructor position within the National Defense University with an understanding that years of prior-approved course content, established guest speakers, and doctrinal teaching methodologies were still safe to discuss. The Thomas More Law Center played a pivotal role in defending LtCol. Jeffrey Chessani, USMC, another loyal military officer, who was ordered to face a court martial to appease the Iraqi government and anti-war politicians, especially Congressman John Murtha (D-PA). A military judge dismissed the charges against Chessani on the grounds of undue command influence. The result is certain. Officers and instructors see what has happened to LTC Dooley, and will refrain from telling the truth about Islam or confronting the difficult strategic challenges facing our nation for fear of jeopardizing their professional careers. The Pentagon has still apparently not learned from the politically correct policies that led to the Ft. Hood massacre. Our military, while conducting the difficult task of threat analysis, does not have the luxury of hiding from potentially offending those who would do us harm. It is precisely our refusal to consider the often irrational, volatile nature of those who do not think with our western world view that has led us to this crisis of conscience. Those people who subscribe and enforce the current environment of political correctness are the ones most often surprised by incidents like the terrorism at Ft. Hood and the uncivilized behavior currently roiling North Africa and the Middle East. Rather than thinking and acting bravely, PC’er’s strike at our cherished First Amendment in a vain hope of buying friendship with a force we still do not understand that neither respects us nor appreciates civility. Despite the military’s decade long effort to come to a more sophisticated level of cultural awareness, we have missed the most critical and basic lesson of this war: weakness itself is a provocation. This is a threat to our National Security. In effect, our own government is applying Islamic Sharia law to prevent any criticism of Islam. The chill on instruction is already happening at the Joint Forces Command College of the National Defense University, to which LTC Dooley is assigned. “The final bastion of America’s defense against Islamic jihad and sharia, the Pentagon, fell to the enemy in April 2012, with the issuance of a letter from General Martin E. Dempsey, Chairman of the Joint Chiefs of Staff, re-issuing his earlier order that all Department of Defense (DoD) course content be scrubbed to ensure no lingering remnant of disrespect to Islam. In an astonishing and unprecedented Pentagon News Conference on May 10, 2012 carried nationally on C-SPAN, General Dempsey, with Secretary of Defense Panetta sitting at his side, personally attacked LTC Dooley, a subordinate Army officer who honorably served our Nation, and was subsequently prohibited from publicly defending himself. Once LTC Dooley’s name was publicly revealed, immediate threats to him and his family prompted security measures to be taken for their protection. The administrative disciplinary procedures against LTC Dooley included removal from his teaching assignment and withdrawal of an outstanding Officer Evaluation Report (OER) concerning the elective course he had been teaching at the Joint Forces Staff College (JFSC) entitled, Perspectives on Islam and Islamic Radicalism. However, the course content critical of Islam as an ideology, the guest speakers and their methods of instruction were all pre-approved by the JFSC years ago. LTC Dooley had received only top marks as an instructor from both students and the faculty chain of command. He carried the highest student evaluations over the previous 18 months and the highest faculty rating among all active military instructors. In fact, his senior rater in 2011, Brigadier General Marvin Smoot, went so far as to exclusively point out LTC Dooley as the best of his new instructors, specifically mentioning his positive contribution to the Islam elective now under attack by General Dempsey. On April 25, 2012, a Defense Department News Release referring to LTC Dooley’s course claimed that General Dempsey felt unprofessional things are being taught to students and that the course material was not “simply objectionable” but “inflammable.” The release went on to say that such content would be scrubbed from the curriculum. Moreover, the release claimed that Defense Secretary Panetta shared General Dempsey’s concern. In this same press conference, General Dempsey personally committed to removing any similar curriculum from military professional education within the JFSC and elsewhere. Despite a preliminary inquiry that confirmed the purely notional, conceptual, and theoretical nature of LTC Dooley’s class, General Dempsey’s implication, before the inquiry was complete, that Dooley formally advocated actions outside of U.S. policy was both premature and inaccurate. Dooley’s case also clearly demonstrates the results of prejudicial public statements made by the Chairman of the Joint Chiefs of Staff in prematurely determining the outcome of the preliminary inquiry into the elective that had not yet concluded. The outcome of the military investigation into the Perspectives on Islam and Islamic Radicalism elective was predetermined by the CJCS and the Secretary of Defense before the review process had even begun. After their prejudicial comments and press release, how then could LTC Dooley ever be given a fair and impartial inquiry following the command influence from the nation’s highest members of the military chain of command? LTC Matt Dooley was deployed to Bosnia, Kuwait, and Iraq for a total of six operational and combat tours over the course of his career. He attended the United States Military Academy at West Point, where he graduated and received his commission as a Second Lieutenant of Armor in May 1994. LTC Dooley has served as a Tank Platoon Leader, Tank Company Executive Officer, Tank Company Commander, Headquarters Company Commander, Captains Career Course Small Group Instructor, Cavalry Squadron Operations Officer, Cavalry Squadron Executive Office, Regimental Plans Officer, Aide-de-Camp (to three separate General Officers), and Instructor at the Joint Combined Warfare School. He is a graduate of the Command and General Staff College as well as the Joint Forces Staff College. Betrayed by his military chain of command, all of whom refused to stand behind their own Academic Freedom and Non-Attribution regulations, LTC Dooley stands alone in his association with what had been previously acceptable methods of educational inquiry. As a result, LTC Dooley, an 18-year Army Officer and combat veteran, has been stripped of his teaching position and is now the subject of a negative evaluation report that threatens to damage his otherwise sterling career. LTC Dooley’s awards and decorations include the Bronze Star Medal, the Meritorious Service Medal with two Oak Leaf Clusters, the Joint Service Commendation Medal, the Army Commendation Medal with three Oak Leaf Clusters, the Army Achievement Medal, the National Defense Service Medal, the Armed Forces Expeditionary Medal with Star, Medal, the Iraq Campaign Medal with Two Stars, both the Global War on Terrorism Service and Expeditionary Medals, the Armed Forces Service Medal, the NATO Medal, the Parachutist Badge, the Air-Assault Badge, and two Army Superior Unit Awards. Following successful campaigns in Egypt, Libya and other Middle East and North African nations, the Muslim Brotherhood now is trying to destabilize and possibly overthrow Jordan’s government, according to reports. The Saudi-owned news channel Al-Arabiya, citing leaked files, reported the embattled regime of Syrian President Bashar al-Assad and his allies have sought to destabilize neighboring Jordan by manipulating peaceful demonstrations there and turning them into deadly violence. The leaks came amid rising political tensions in Jordan. Mass demonstrations in the capital Amman were sparked by a decision by Jordan’s King Abdullah to dissolve the parliament ahead of Muslim Brotherhood protests planned for Friday. Abdullah is calling for early elections. International Christian Concern’s Middle East analyst, Aidan Clay, says the Muslim Brotherhood is one of the biggest threats to Jordan’s stability. He said the move to dissolve the parliament as a gesture of compromise was politically risky for the king. The Muslim Brotherhood did not accept the move, Clay noted, considering it to be half-hearted. “Yet, the king is still a seasoned politician who may be able to offer concessions that the Muslim Brotherhood accepts,” he said. Dutch human rights activist Martin Janssen reported from Jordan that the Muslim Brotherhood voiced suspicion about the move. “As in other Arab countries, the Jordanian monarchy is causing dissatisfaction among the people. The Muslim Brotherhood is using that to stir up demonstrations against the government,” Janssen said. Clay said most Jordanians support the king. Clay said the cover for many of the “Arab Spring” movements was the call for democracy. The Muslim Brotherhood’s use of the “democracy” line, he said, could tip the balance in their favor. “Of most concern is that the MB is among the primary groups calling for political reform. If that continues to be the case, then many Jordanians may decide to back the MB, whether or not they agree with the Muslim Brotherhood’s religious ideology,” Clay said. “Free elections, ending corruption, higher wages, and other claims all sound great, no matter who’s leading the campaign – whether it’s the MB or liberals,” Clay said. “Many Jordanians just want change and some are willing to join whatever movement promises political reform,” Clay said. However, there is a gap in the people’s understanding when it comes to the mission of the Muslim Brotherhood. He says the people also aren’t aware of the severity of Jordan’s economic climate. “What many people here fail to understand, I think, is that Jordan is reliant on international aid. Without it, their economy would collapse, especially with the recent influx of Syrian refugees that the kingdom must now provide for,” Clay said. 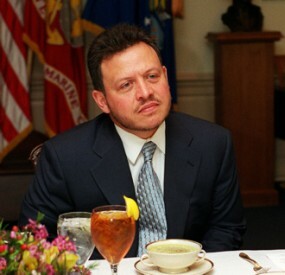 “King Abdullah II has a strong alliance with Western nations which has brought stability to Jordan. If the Muslim Brotherhood gains significant political influence, that alliance will no doubt be jeopardized, as is now the case in Egypt,” Clay said. “It’s a bit early to tell what will happen in Jordan. While the MB’s demonstration last Friday was the largest protest in Jordan in the past 22 months, the turnout was much lower than the 50,000 that the MB predicted. There were actually between 7,000 to 15,000 protesters,” Clay said. “Moreover, King Abdullah still holds a lot of respect in the country – though calling for reform, most of the opposition is not advocating for the removal of the monarchy,” Clay said. “One thing is certain – Jordanians, both the Muslim Brotherhood and any moderates, are getting bolder, openly accusing the government of corruption and repression of free speech, calling for a limitation of the monarchy’s powers, and at time, albeit rarely, outright criticizing the king,” Clay said. “Such public accusations were not seen much in Jordan several years ago and goes to show that whether or not Jordanians agree with the Brotherhood’s wider agenda, they do resonate with, and many are following, the MB’s lead in calling for significant political reforms,” Clay said. The United Muslim Christian Forum, a friendly-sounding “interfaith” group issued a press release on September 18 demanding the prosecution of the makers of the low-quality Innocence of Muslims film that appeared on YouTube. The Islamist agenda of the group is in written form but if the past is any indication, that won’t stop elected officials and Christian leaders from embracing it in order to prove their tolerance.The United Muslim Christian Forum (UMCF) is an entity of the Muslims of the Americas, whose members follow a cleric in Pakistan named Sheikh Mubarak Ali Gilani that refers to Osama Bin Laden as a “Saudi activist.” The group says it has 22 “villages” across the country, such as “Islamberg” in Hanock, N.Y. and “Islamville” in York County, S.C.
Gilani also leads Jamaat ul-Fuqra, a group that the State Department said in 1998 is an “Islamic sect that seeks to purify Islam through violence.” In 2009, I obtained a video of Muslim women receiving guerilla warfare training, complete in military fatigue, at “Islamberg.” This should raise questions about the purpose of Islamberg’s 24th Annual Ladies Summer Camp in July 2011. “Therefore we demand immediate action by the appropriate government agencies to stop this film and bring its perpetrators to justice for this malicious hate speech,” it says. Anti-Semitism is at the core of UMCF’s drive to forge a Muslim-Christian coalition. Its websitestates that the 9/11 attacks were “Stage One of getting the Western World, on behalf of the Jews, to go to war with the Arab world.” Gilani says “Jews are an example of human Satans” and that he’s never encountered an honest Jew. A number of officials and Christian leaders have embraced the UMCF even though this extremism can be easily found with a simple Google search or review of the group’s website. A photo of Binghamton Mayor Matthew T. Ryan standing with the UMCF sign is on the home page of the website to this day. The most recent event held by the UMCF was on April 21 at Winthrop University in Rock Hill, S.C. The two Christian speakers were Reverend Sam McGregor of Allison Creek Church and a missionary named Ryan Peters. The UMCF’s main speaker was Khalifa Hussein Adams and the text of his speech is online. “[Jesus] is a role model for the Sufis, as opposed to the Jews who deprived him of the honor of being born to a Blessed virgin mother. They also conspired to take his life. He was called the son of an illegitimate birth while his mother was termed a woman of ill repute. Perhaps you are well aware of the fact that the Jews brought false allegations of sedition and rebellion against Jesus son of Mary to their Roman masters. Because of this, they say he was crucified,” Adams said. He also made the unbelievable statement that “no Muslim, which you may refer to as an orthodox Muslim, has ever been charged with any act of terrorism within or outside of the United States of America.” He condemned the Muslim Brotherhood and said all terrorist acts are done at the hands of Wahhabists and Shiites who aren’t real Muslims. He said that the members of Muslims of the Americas are the only ones that truly follow Islam. I heard a similar theme when I attended a UMCF event on April 16, 2011 in Owego, N.Y. One of the speakers was the city’s mayor at that time, Edward Arrington, who is also the chairman of the Deacon Board at the First Baptist Church of Owego. Father Timothy Taugher of Blessed Sacrament Church in Johnson City and Professor Diane O’Heron of Brome Community College, a UMCF board member, also spoke. Advocacy for blasphemy laws and anti-Semitism isn’t what a genuine “interfaith” group is about. The UMCF was created for the sole purpose of making over the image of Muslims of the Americas. The press release and speech at Winthrop University show that the goal is unchanged: To promote the anti-Semitic Islamist ideology of Muslims of the Americas and Sheikh Gilani. ABU DHABI, United Arab Emirates — Gulf Arab countries should work together to stop the Muslim Brotherhood from plotting to undermine governments in the region, the United Arab Emirates (UAE) foreign minister said on Monday. he UAE, a major oil exporter and business hub, has arrested around 60 local Islamists this year, accusing them of belonging to the Muslim Brotherhood — which is banned in the country — and conspiring to overthrow the government. Thanks to cradle-to-grave welfare systems, the UAE and other Gulf Arab monarchies have largely avoided Arab Spring unrest that has unseated rulers elsewhere. But they fear the rise of the Brotherhood in Egypt — and of other Islamist groups in other states — in the wake of the revolutions could embolden dissent on their own turf. “The Muslim Brotherhood does not believe in the nation state. It does not believe in the sovereignty of the state,” Sheikh Abdullah bin Zayed al-Nahayan said at a news conference. There were individuals within the Muslim Brotherhood who would be able to use their “prestige and capabilities to violate the sovereignty, laws and rules of other states,” he added. “We need to communicate to see if there were individuals or organizations who were using these countries,” he said, without naming the countries he was referring to. The Muslim Brotherhood organization, founded in Egypt in 1928, is seen as a mentor for Islamist groups in the region. The organization, which has risen to power in Egypt since the overthrow of Hosni Mubarak, has consistently sought to reassure Gulf Arab states it has no plan to push for political change beyond Egypt’s borders. The group of around 60 men arrested in the UAE this year belonged to the local Islamist group Al Islah. Last month, local media reported that some of those detained had confessed that their organization was running an armed wing and had been plotting to take power and establish an Islamist state. Al-Islah has since denied this. The reports also said the group was coordinating with Brotherhood organizations in three other Gulf Arab countries, and that they had recently received up to 10 million dirhams ($3.67 million) from a counterpart in another Gulf Arab country. Al Islah says it shares a similar ideology with the Muslim Brotherhood in Egypt but has no direct links and is pushing for only peaceful reforms. Dubai’s outspoken police chief Dhahi Khalfan said in March there was an “international plot” against Gulf states by the Muslim Brotherhood organization. The UAE stripped seven Islamists of their citizenship last year on national security grounds. © 2012 Thomson/Reuters. All rights reserved. Yes — the stakes are that high. U.S. Ambassador Chris Stevens knew about the threats against his life, yet this did not deter him from doing all he could to stop Islamist violence. That optimism and dedication cost him his life. Though the sacrifice may have superficially touched off some pangs of conscience within the Islamic community in isolated cases, the unified response of the Islamist community was forceful and direct. As of this writing, 17 U.S. embassies remain under threat, the French have temporarily closed 20 embassies, and President Barack Obama not only refuses to even meet with Israeli Prime Minister Benjamin Netanyahu but refuses to call the attack on Ambassador Stevens what it was: an act of terrorism. Sadly, what may seem as an Islamic turn in U.S. foreign policy is nothing sudden. This turn had been orchestrated over the past few years by an Obama administration determined to emasculate America’s position overseas. Nowhere is this position of weakness more demonstrably felt — and with catastrophic consequences — than among the Islamist Front. Let’s be very clear where this alarming statement is coming from — Christians who now have concerns about the pernicious influence of radical Islam now are creating “wide ripples of intolerance” that the Obama administration intends to combat with “old-fashioned techniques of peer pressure and shaming” designed to turn the 1st Amendment against itself. Where is this threat in the United States? Look no further than the Muslim Brotherhood. The pernicious influence of the Muslim Brotherhood has shocked the world in their size and growing power — not just abroad but right here in the United States through a multitude of front groups such as the Islamic Society of North America (ISNA). More alarming still is the pervasiveness of radical Islamic mosques. Most Americans would be shocked to learn that in the 11 years since 9/11, the number of mosques in the United States has risen from 1,209 to 2,106 — and over 80% of all mosques contain material that advocates violence. In the effort to push back, Traditional Values Coalition (TVC) has continued to stand in the forefront of the fight against shariah law within the United States. TVC was one of the few conservative Christian organizations with the courage to infiltrate the ISNA conference in Washington D.C. in 2012, and with a national network of courageous individuals willing to keep tabs on the Muslim Brotherhood and their Islamist allies here at home, TVC will continue to be a primary source of information on the Islamist shariah threat. How pervasive is this threat? The Islamists have had an 11 year head start while Christian America has mostly been asleep. The Arab Spring wasn’t a movement for freedom. It was a revolution of terror — and the roots are deepening here on the home front. Where do we go next? Much depends on the policies administered over the next four years by the State Department — regardless of who is in the White House. A great deal depends on the rights our local governments have (or are persuaded to believe they may or may not have) when being forced to approve mosques in small towns across America. More than this, the American public needs to know what an Islamic waqf and it’s three-mile radius consists of, what a “no-go” zone is, and how Islamic shariah is infiltrating our courts, our laws, and redefining the rights Americans have for so long relied upon as sacrosanct. September 11th, 2012 may not go down in history in the same way 9/11 did eleven years earlier, but the message was the same. Islam seeks to destroy America.